Plain shield as a drawing. 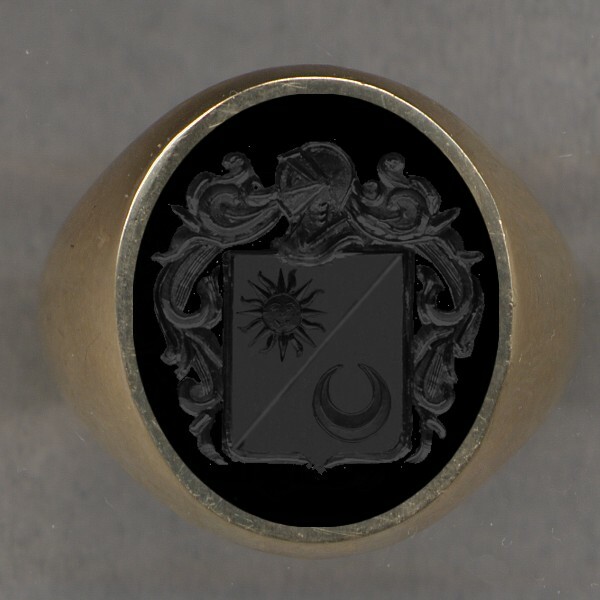 Plain shield as a ring. 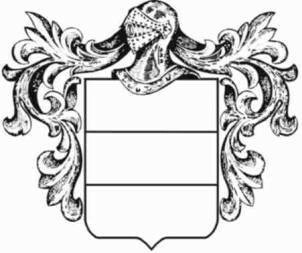 The basic outline of a coat of arms consists of the shield, the helmet and the mantle as shown here. Inside of the shield (also known as the Field) you may show the symbols or emblems of your choice. Division of the shield by means of partition lines. Shield per fess as a drawing. 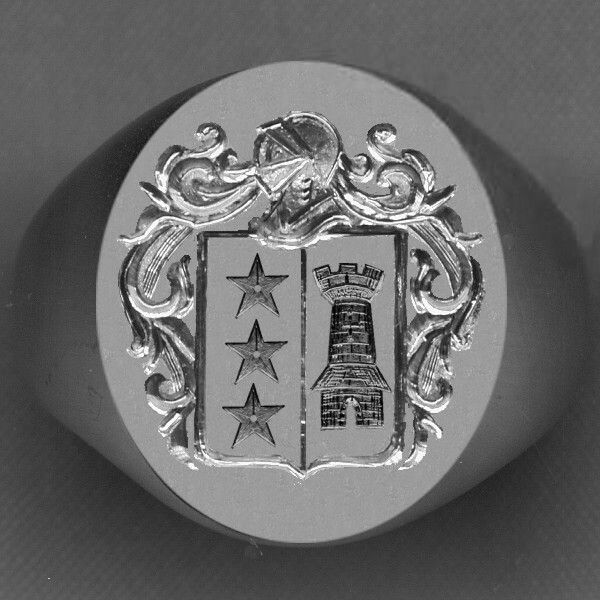 Shield per fess as a ring. This shows a shield divided in two horizontally referred to as "per fess". 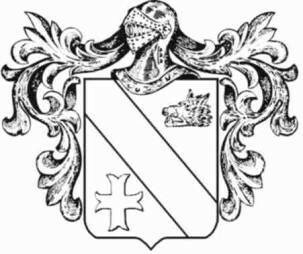 Shield per pale as a drawing. 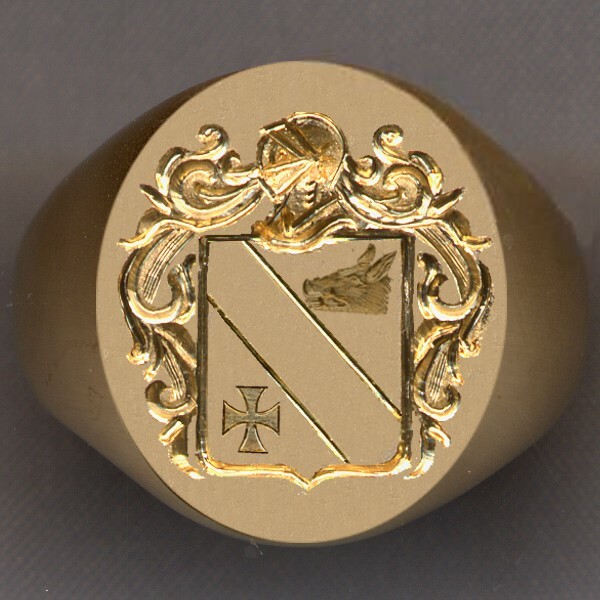 Shield per pale as a ring. This shows a shield divided in two vertically referred to as "per pale". Shield per bend as a drawing. 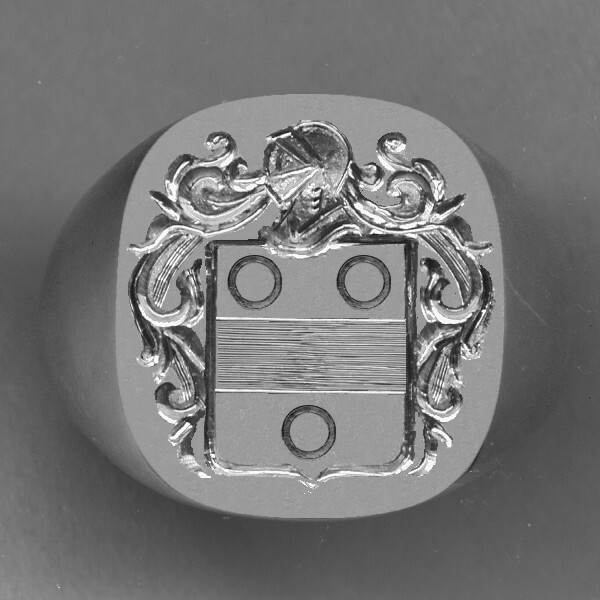 Shield per bend as a ring. This shows a shield divided in two diagonally referred to as "per bend". Note that "per bend sinister" is the same except that the diagonal runs in the opposite direction (upper right to lower left). See figure 14 for an example. Shield quartered as a drawing. Shield quartered as a ring. This shows a shield divided in four equal parts referred to as "quarterly". Division of the shield by Ordinaries. Ordinaries are heraldic charges that divide the shield in different parts. Shield divided by a bend as a drawing. Shield divided by a bend as a ring. The bend is formed by two lines drawn diagonally and comprises one third part of the shield. It represents a shoulder belt or scarf. Shield divided by a fess as a drawing. Shield divided by a fess as a ring. The fess is formed by two horizontal lines and comprises the center third part of the shield. It is emblematic of the military girdle worn round the body over the armor. Shield divided by a chevron as a drawing. Shield divided by a chevron as a ring. The chevron is formed by two parallel lines meeting pyramidically about the fess point. It denotes military fortitude. So far you have seen the most common ways to divide a shield. 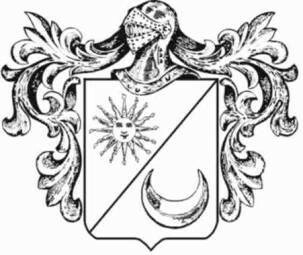 Now you may place any symbols or emblems of your own choice inside the shield that will have a special meaning to you; in this way, creating your own and absolutely personal coat of arms. When you have it hand engraved into one of our beautiful rings you can be assured that you have not only a beautiful piece of jewelry but one which is unique, designed by you and hand-engraved by master European engravers. 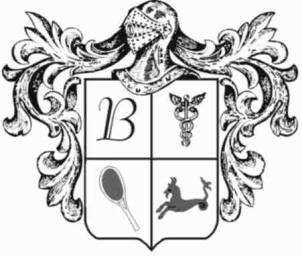 We shall give you some actual examples, but for the purpose of creating your own coat of arms your own interests and ideas should be your guide. Always remember that the fewer items (charges) in the shield, the less cluttered it will be and the better the end result! 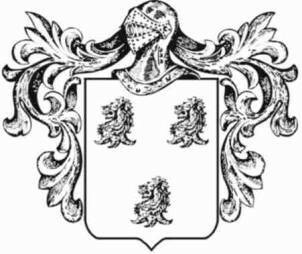 "Charges" are heraldic emblems or symbols. Figure 9: A single charge in an undivided shield. A single charge (a bull) in an undivided shield as a drawing. 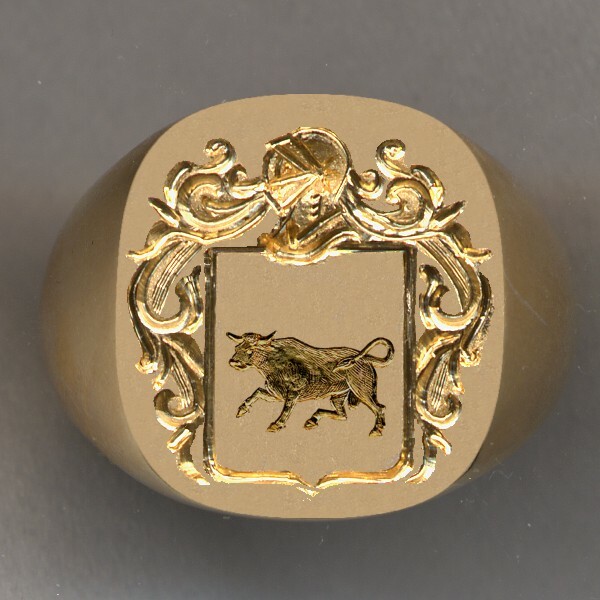 A single charge (a bull) in an undivided shield as a ring. This shows an undivided shield with just one charge. Note now the charge becomes large and dominant, drawing the eye. 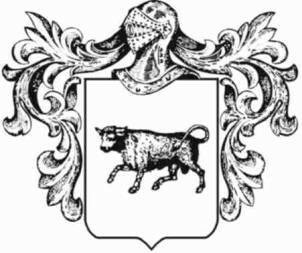 This charge is clearly the focus of the entire Coat of Arms. Figure 10: Three charges in an undivided shield. Three charges (Lion's head erased) in an undivided shield as a drawing. Three charges (Lion's head erased) in an undivided shield as a ring. This shows an undivided shield with three charges. The charges may be a repetition of the same charge or three different ones. Figure 11: Charges on a shield per pale. Several charges (pierced stars and a tower) in a vertically divided shield (per pale) as a drawing. Several charges (pierced stars and a tower) in a vertically divided shield (per pale) as a ring. In a shield vertically divided in two: one charge in one side or another charge in the other side (or one charge in one side and three on the other as in figure 11). Figure 12: Charges on a shield per fess. Two charges in a horizontally divided shield (per fess) as a drawing. Two charges in a horizontally divided shield (per fess) as a ring. In a shield divided horizontally (per fess), one charge above and one below. The charges need not be the same. Figure 13: Charges on a shield divided by a fess. The shield divided in three by a fess: two charges above the fess and one below as a drawing. The shield divided in three by a fess: two symbols above the fess and one below as a ring. The shield divided in three by a fess: two symbols above the fess and one below. Figure 14: Charges on a shield per bend sinister. Two charges on a shield per bend sinister as a drawing. Two charges on a shield per bend sinister as a ring. The shield divided diagonally; a symbol on top and one below. Note that in this example, we chose to have the diagonal go the opposite way from Figure 4. This division is per bend sinister. Figure 15: Charges on a shield divided in three by a bend. The shield divided in three by a bend; a charge above and one below as a drawing. The shield divided in three by a bend; a charge above and one below as a ring. 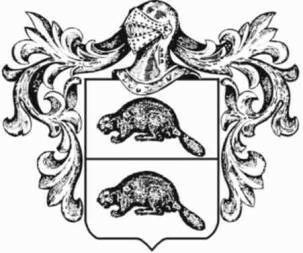 The shield divided in three by a bend; a charge on top (a boar's head) and one below (a cross Moline). Figure 16: Charges on a shield divided quarterly. The shield divided quarterly; a charge in each quarter as a drawing. 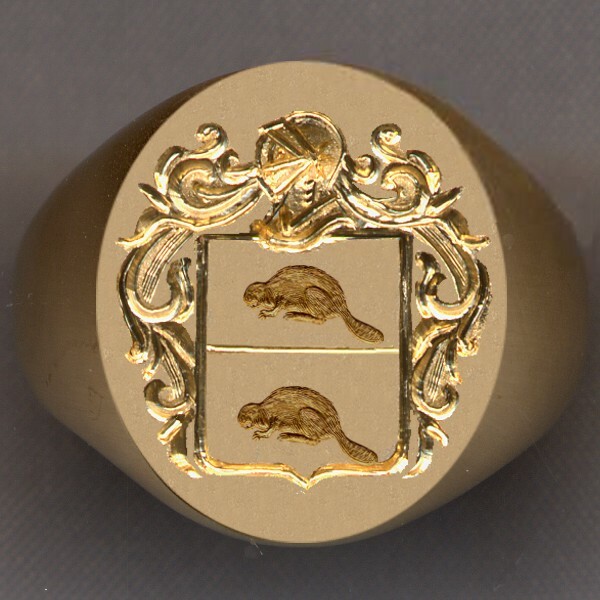 The shield divided quarterly; a charge in each quarter as a ring. 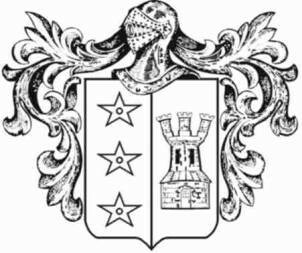 The shield divided in four; in each quarter a different symbol. In this particular case we have the initial of the customer's name, a caduceus symbolic of the medical profession, a tennis racquet representing the customer's hobby and his sign of the zodiac. We hope these brief guidelines will be of help to you in designing your own personal coat of arms with a view to having it made into a beautiful family crest ring. If you have any questions at all please write to us, we'll be glad to help in any way we can.